The World Economic Forum website estimated that the broad market for smart cities’ products and services will be worth over $2.57 trillion by 2025, growing at a rate of 18.4 percent per year on average. 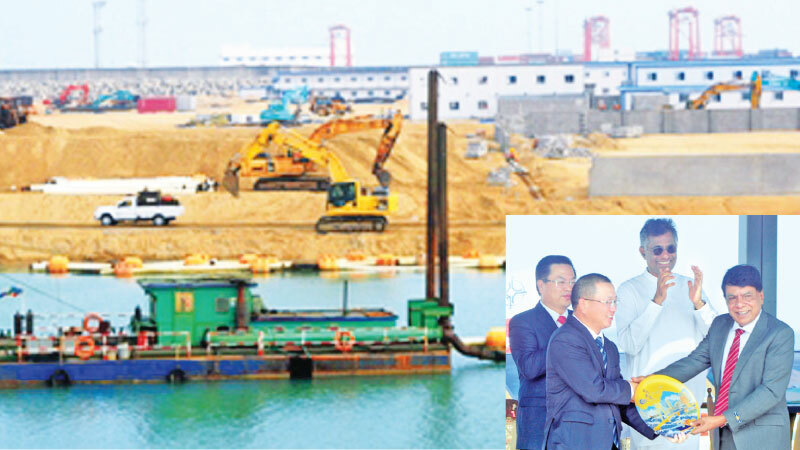 The Port City is going to be a smart city and it will be taking a share of that market ,said Minister of Megapolis and Western Development, Patali Champika Ranawaka during a vist to the Port city yesterday. How CHEC is handling this iconic project is commendable and we are very happy to have partnered with them to build Sri Lanka’s first modern planned city that is slated to become an attraction for the entire region. China’s technological advancement has definitely come of age - just two weeks ago, we got to hear that China became the first country to land a spacecraft on the Moon’s far side. This is the true capacity of China and we are proud as an Asian nation. The Port City has gone through 2 comprehensive Environmental Impact Assessments. The SEIA of December 2015, which was for the reclamation stage, went through a public hearing and received 215 written responses. 72 conditions were set by the government and they have been met by the project company.